It’s official! Sugar is not good for us. So let’s explore healthy breakfast ideas with no or less sugar added. We have just heard it in the news again. Sugary breakfast cereals are affecting children’s health. Not only they are not very filling, they also contribute to severe and steady weight gain, tooth decay as well as other serious health conditions. It is time to rethink breakfast and explore new ideas. 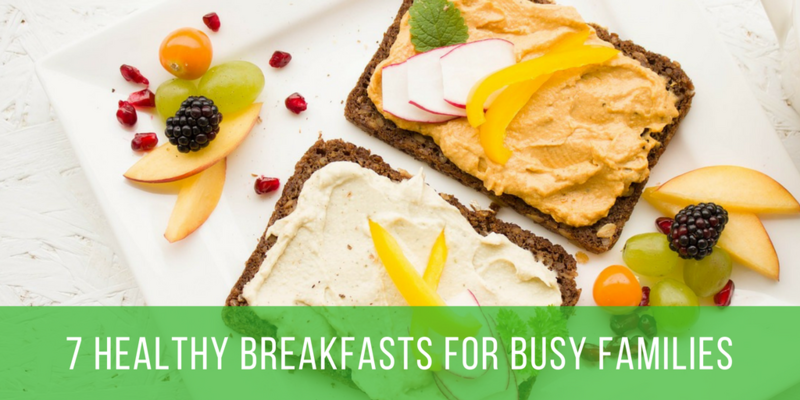 Today, I am sharing 7 healthy breakfast ideas to keep you and your children going all week. Good old fashion wholemeal bread topped with a healthy spread is a good choice for a quick breakfast. The key is to avoid high sugar toppings such as chocolate spreads. I always recommend to add protein to breakfast. So why not try some butter (stay away from margarine) and a slice of ham or turkey. Good quality cheese also makes a good breakfast with a slice of toast. Nut butters are delicious and filling. 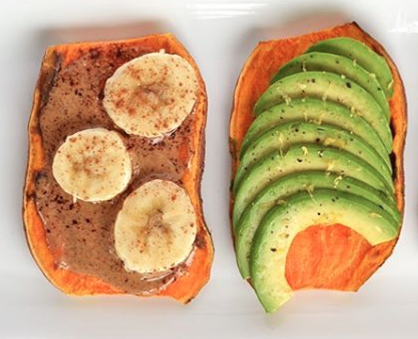 Try almond butter and pear pieces. Yum! If you need to go for something sweet, why not try Greek yogurt or ricotta with a fruit topping. You can also opt for a teaspoon of no added sugar jam or honey. Plain Greek yogurt provides more protein than regular yogurt. A higher protein content means your children will not feel hungry before lunchtime. Add 1 handful of berries for vitamins and antioxidants (frozen berries can be left out the night before), 1 tablespoon of nuts and seeds for more protein. Or why not make your own granola which you can store for a few days in a air-tight container and use during the week. My favourite granola recipe is from I Quit Sugar. Although the recipe states granola bars, you can break it up to sprinkle it on your breakfast. This might sound a bit strange to you at first but once you have tried one, there is no going back. It will hopefully become a regular breakfast on your table. All you need to do is wash a sweet potato well under the tap. Dry it and cut it into slices of about 1 cm thick and pop into your toaster. You will need to toast them for two rounds. Once done, you can use them instead of bread. Here you will find lots of topping ideas. We tend to keep eggs for the weekend when it comes to breakfast. However, they are so quick to prepare, so why not go for a poached egg on wholemeal toast or a boiled egg with sliced tomato in wholemeal pitta bread. Frittatas are wonderful and can be made the night before. Here you will find 9 frittata recipes to keep breakfast exciting. Do you have a slower cooker? If you do, this is a great breakfast to prepare the night before. It takes minutes and it means the morning routine will be a little easier. Check out this recipe from Stephanie Dea who is a great fan of slow cooking. Ok, so most cereals you find in supermarkets contain high amount of sugar. There are still a few which are safe. Weetabix and unsweetened muesli are fine. In fact, it is better for you to add a teaspoon of honey and some berries to those cereals because at least you know exactly how much sugar your child is eating. Breakfast idea no. 7: Pancakes as they are not just for Shrove Tuesday! Do you know a child who does not like pancakes? I haven’t met one yet. When thinking about healthy breakfast ideas, pancakes are probably best for the weekend due to longer preparation times. Having said that, you could make a big batch on a Sunday and reheat them for breakfast on the Monday. 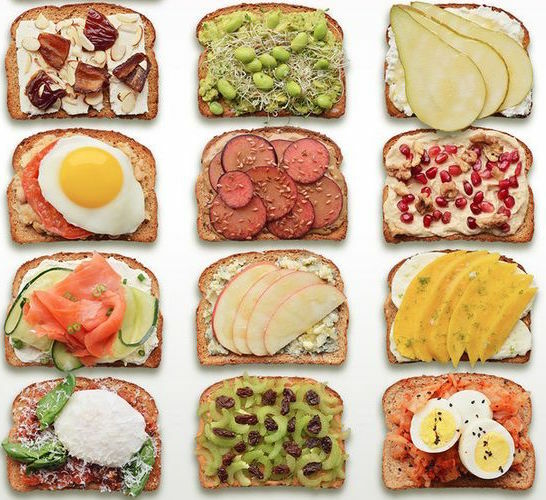 So, who said breakfast had to be boring? The key thing here is to stop thinking that breakfast has to be sweet. Who decided so? Let’s change the rules. It will be so much better for everyone in the long run. The less sugar children eat, the less addictive sugar becomes. The opposite is taking place at present and the situation is getting totally out of control. With healthy breakfast ideas, you can change your family sugar intake and improve overall health. So let’s doing this. Go easy to start with. Try a few things. Get feedback from your children. Get them involved. They will be more willing to try new things. 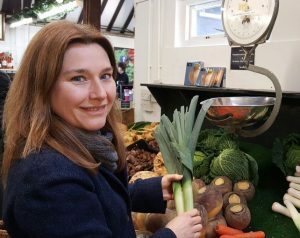 If you lack inspiration or if you need a little hand in the kitchen to produce healthy dishes which will be enjoyed by the whole family, I offer cooking workshops in London and Surrey, delivered in the comfort of your own kitchen. For more information about family nutrition coaching visit this section of the website.